Leader of the Niger Delta People’s Volunteer Force, NDPVF, Mujahid Asari Dokubo on Monday received flaks ‎over his utterances against the President-elect, Muhammadu Buhari and the country in general. The President of the National Coalition of Niger Delta Ex-Agitators (NCNDE-A), ‘General’ Israel Akpodoro, expressed worry over the incessant attacks and vituperations from Dokubo on national issues saying, those threats issued by him were “empty, bear-footed and treasonable”. Addressing a meeting of the Coalition in Ughelli, Delta State, Akpodoro argued that no section of the country wields the power to hold others to ransom. 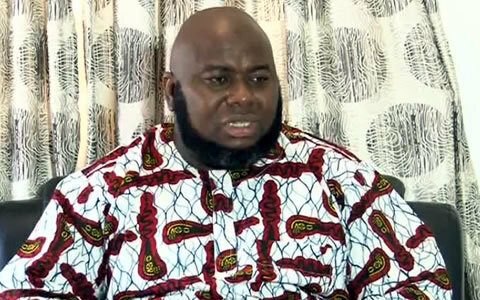 It would be recalled that Dokubo, while speaking at the commemoration of the late Adaka Boro, in Yenagoa, the Bayelsa State capital recently, reportedly said he was ready to‎ take on the federal government if the interest of the region was not favourably considered by the incoming All Progressives Congress-led administration. Akpodoro, however, told the former militant to stop dragging the region into issues of personal interest stressing that the people of the Delta have decided to embrace peace and not war. He stressed that time has come for the likes of Dokubo in the Delta region to not only embrace peace but to also realise that the era of impunity, gangsterism‎ and nepotism was over adding that the ex-militants who supported the APC and its then presidential candidate, Buhari before, during and after the elections are not slaves as claimed by Dokubo but that what they did “was a show of unfettered patriotism, solidarity and love to a nation above self-serving and myopic interests”. The people of Niger Delta region Akpodoro said, were already aware of the antics and mischief of those who use the region as a platform for self-enrichment pointing out that such era would end with President Goodluck Jonathan’s administration. Rather than continue to be on the opposition to the government, the NCNDE-A leader called on stakeholders in the Delta region to go and preach peace in support of the incoming administration. He pointed out that they stand to gain nothing from crisis but that peaceful approach to issue was an imperative for a better Delta region. Akpodoro, therefore, admonished them to understand that there is a new dawn of equity and positive change around the corner and urged them to shun crimes and criminality for the region to grow. “When the struggle for a better Niger Delta began, it was genuine, focused, purposeful…only to be hijacked by people of narrow interests. We as a people have learnt our lessons and as such would not allow ourselves to be goaded into another round of crisis in our region. “As peace-loving people, the ex-militants have changed from the war-war approach to a much peaceful and decent approach to achieving results. We owe the Nigerian state our patriotism, solidarity, loyalty as long as the federal government gives us an unfettered sense of belonging in the state. “Whoever engages in any crime under any guise should answer to his crimes without dragging the region along with him. The Delta region comprises of so many ethnic groupings and not only the Ijaws. It therefore follows that Dokubo should speak for those who believe in him amongst his people and not for the entire region”, he stated.